Adults and kids will be excited to learn about a couple new additions to Cherry Hill Harvest Festival in 2016. This year’s festival is scheduled for Sunday, Oct. 16, from noon to 4 p.m. at Croft Farm. It will include a number of autumn-themed activities this year, including two new additions. The biggest addition to this year’s festival will be a beer garden. The Farm and Fisherman Tavern and Market will be running the garden on the Croft Farm grounds. All residents of legal drinking age will have a chance to try out a variety of beers at the event. Township Director of Communications Bridget Palmer said the festival is adding a greater variety of food vendors this year. “We have a few new food vendors including Jules Thin Crust Pizza and Donkey’s Cheesesteaks in Camden,” Palmer said. The festival will also include a new activity for families. Pumpkin bowling lanes will be set up at the festival. Families can grab a pumpkin and try to bowl over as many pins as they can in this game. 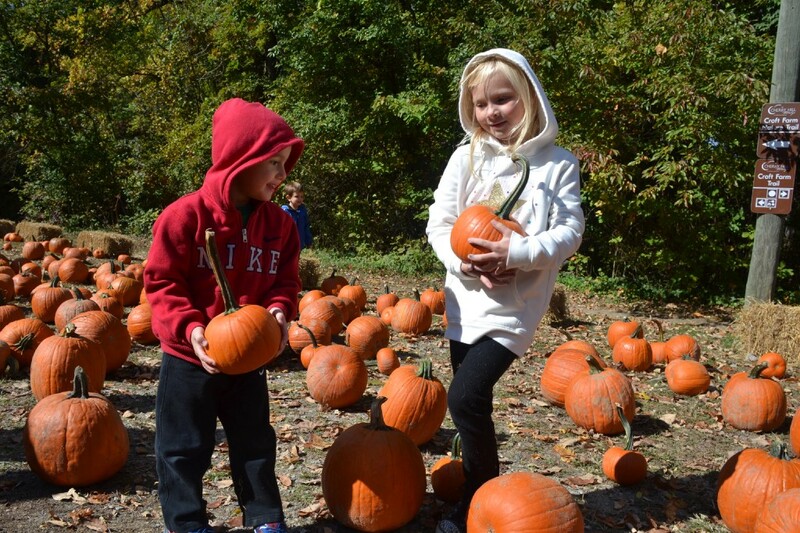 Ethan Schwartz and Lexi Agnew pick out pumpkins at the 2015 Cherry Hill Harvest Festival pumpkin patch. In addition to the new activities, many of the activities from past festivals will be back again this year. 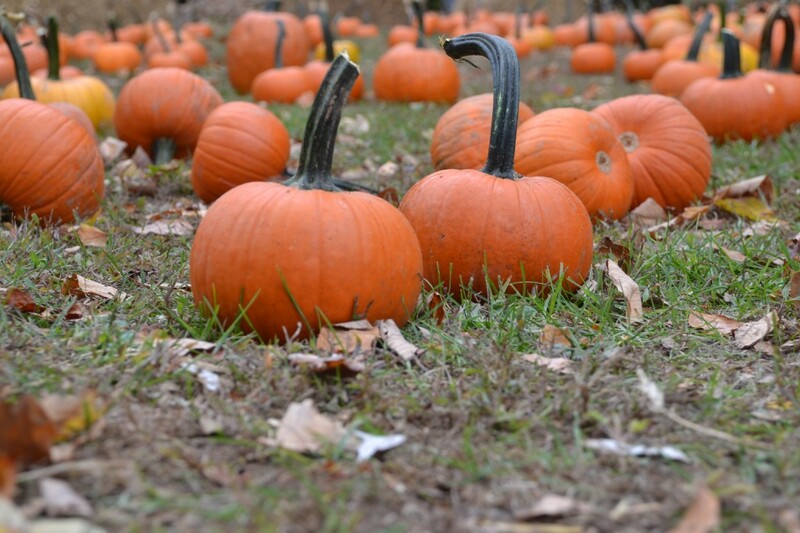 One of the most popular areas at the festival is the pumpkin patch. Each child in attendance will have an opportunity to pick out one pumpkin for free. The craft fair will also return to the festival this year. The fair was an addition to the festival in 2015. Last year, nearly 20 crafters sold jewelry, decorations and more at the festival. Some of the other activities returning to the festival include a petting zoo, pony rides, face painting, moon bounce and autumn-themed crafts for kids. There will also be live entertainment throughout the day and a farmer’s market. Visitors to the festival can also check out the Fall Into the Arts juried photography exhibit inside the Croft Farm Arts Center. The exhibit opened on Oct. 8 and featured photographers of all ages from across the area. The exhibit will remain open at the arts center through Saturday, Oct. 22, with the award-winning photographs later being exhibited at the Cherry Hill Public Library in November. Harvest Festival is the largest event Cherry Hill Township puts on every year, with more than 3,000 people attending annually. Palmer said the township expects attendance to be just as large as it was the previous three years. The festival is open to the public. Many of the activities are free. Crafts, food and beer must be purchased. The event will take place rain or shine. For more information on the event, visit www.cherryhill-nj.com/harvestfestival or the event’s Facebook page at www.facebook.com/events/629377470559596.